The objective of this webinar is to inform Parties to the Basel Convention and observers on the outcomes of the first meeting of the Expert Working Group to facilitate the negotiations during the ninth meeting of the Open-ended Working Group of the Basel Convention and share information on progress in the EWG activities. The eleventh meeting of the Conference of the Parties, by its decision BC-11/1 on follow-up to the Indonesian-Swiss country-led initiative to improve the effectiveness of the Basel Convention, adopted the framework for the environmentally sound management of hazardous wastes and other wastes. In addition, the COP decided to mandate an Expert Working Group to further elaborate and implement actions on environmentally sound management. The COP also requested the Expert Working Group to report on its activities and to submit its work programme to the Open-ended Working Group for consideration at its ninth meeting and subsequently to the Conference of the Parties for consideration and possible adoption at its twelfth meeting. The Expert Working Group on Environmentally Sound Management is meeting for the first time in Buenos Aires, Argentina, from 10 to 12 December 2013. The meeting is being organised by the Secretariat of the Basel, Rotterdam and Stockholm Conventions, in collaboration with the Basel Convention Regional Centre for South America in Argentina. Outcomes of the first meeting of the EWG on ESM– 25 min. 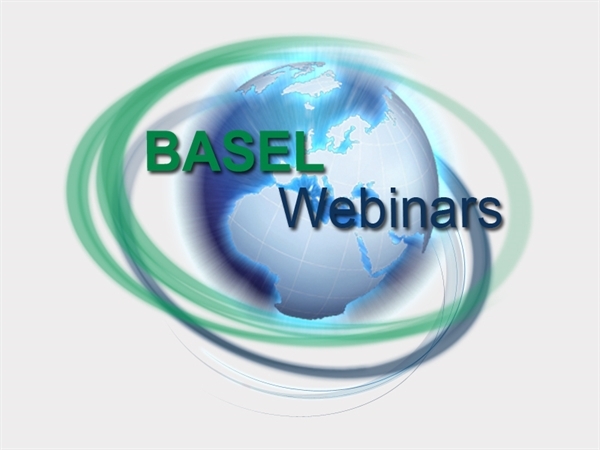 A webinar to enable Parties to the Basel Convention and Observers to fully participate in the negotiations of the eighth meeting of the Open-ended Working Group was held on 4 September 2012 beginning at 17:00 (UTC/GMT+2).